Technicolor Squid: Yay! Yippee! Woo Hoo! And Yay! congratulations! not a surprise, as you belong there, but still, a wonderful honor.... !! 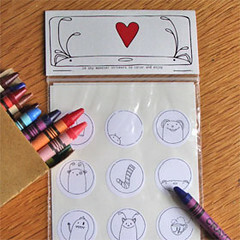 Wow - these are great! My nephew will really get a kick out of this! Love your illustrations - how did you ever keep this a secret!! Yipee! You deserve this- so do those trouble-makin' monsters! Yay! That is so cool!! That is SO awesome Christina! How wonderful! 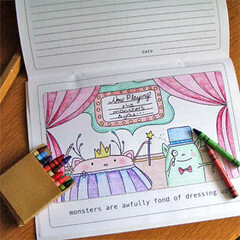 Your Shy Monsters fit in perfectly with the lovely goodies over there!